We've already got some great pictures from the start of the season in our Flickr Gallery. You'll also be pleased to know that the new guide is only a few weeks away - you can pre-order it via Amazon and it should arrive late April (although Amazon is currently showing a May delivery, hopefully it will be sooner). I've received an early proof copy from the publisher and it's looking really good (pictures to follow). We've re-vamped our forum following last year's problems with spam. It's now much easier to register and contribute. A lot of people have been in touch asking for a Facebook page. 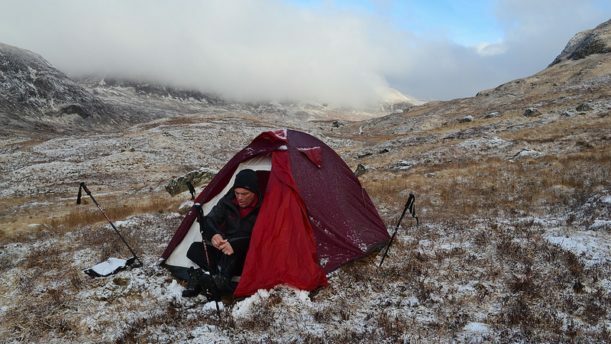 I was initially reluctant to set one up (I'm not a huge fan of Facebook, personally) but I've now established one at [http://www.facebook.com/CapeWr... "Cape Wrath Trail Facebook") so you can post things on this site or there - whatever is easiest for you. So go ahead and "Like" the page if you get a spare second. I'll make sure any useful info is always cross-posted to avoid things getting out of sync. If you're setting out on the trail in the next few months, I wish you the very best of luck - stay safe and let us know how you get on.